Black Burn Micronized is a unique formula, containing key ingredients backed by scientific studies. We only bring you the best ingredients, for the best results. This formula contains ketones. Ketones are used by professional athletes to get into top shape for an important competition. It’s one of the hottest new ingredients on the market. But there’s more. 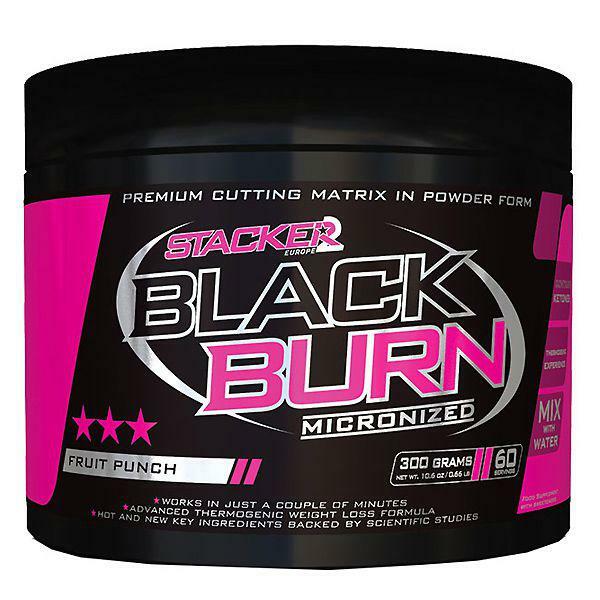 Black Burn Micronized contains a never-before-seen combination of 10 ingredients to speed up your metabolism. In addition to the previously mentioned ketones, it has garcinia cambogia extract, choline, ginseng, various types of tea, guarana and pepper extracts. 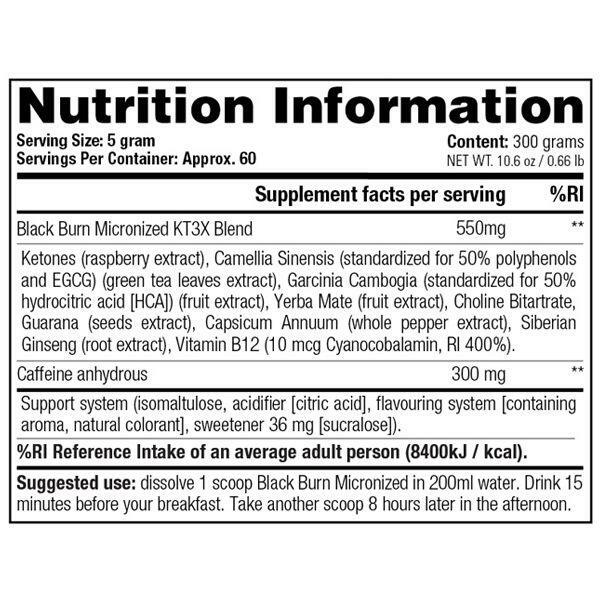 In contrast to the other weight-loss products in our assortment, Black Burn Micronized doesn’t come in capsules but in the form of powder (4 gram doses), which you dissolve in a glass of water. The big advantage of powder is that the product is absorbed more quickly by the body. You even absorb some of the extracts via your palate! Thanks to this you may feel Black Burn Micronized working in just a couple of minutes. In addition to the fast effect, it’s easier to split up a dose if it comes in powder form (such as half a dose in the evening to help you sleep). Black Burn Micronized is so powerful that you should never take more than one scoop per serving. This is our ultra-concentrated and most convenient Black Burn formula ever. Designed to assist your body to reduce fat fast.